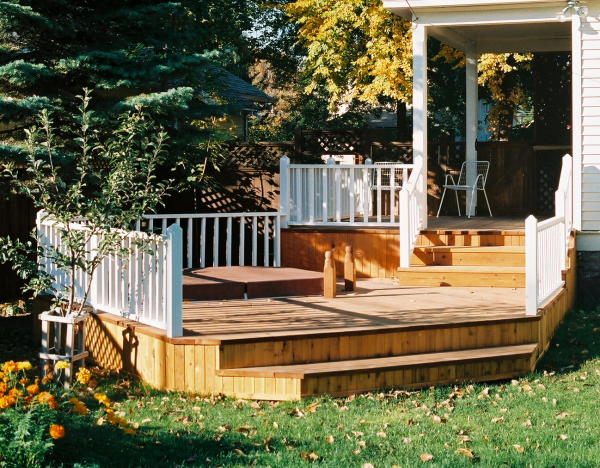 A deck is not always necessary, but most always adds to the value of your home or cabin. You can relax outside with friends and family while taking in the fresh air. When it comes time to have a custom deck built, remodeled or repaired, Family Kabins would like the opportunity to bid on your project. "Quality construction" to us means doing the work ourselves and not sub-contracting to crews over which we have little control. Pride is taken in our finished products. This is the main reason that we get referrals from nearly every single customer. We provide high quality which shows in our work now and in the long-term value of your investment. Our crew hand picks and inspects each framing joist, support and rail posts, and deck board before it is installed. Corners are never cut by using low-grade lumber. That will never save our customer's money over the life of their deck. We make sure your preferences are considered and that the correct material is selected for your job. Before you sign a contract, talk with Family Kabins. Whether you select us for the job or not, we will provide you with information that may make your project a better one. Please give us a call at (406) 788-6990. We look forward to speaking with you in the near future.